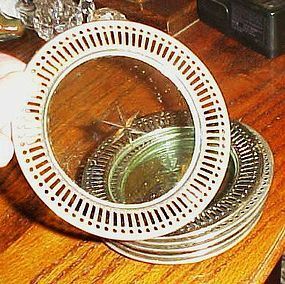 Set of 4 Vintage Chrome Filigree Rim Coasters with a Glass Center piece that has a star cut into it. They measure 4 3/8" in width. Most of these are made by SternauWare N Y. but I am not seeing a sticker or marking on these. In Excellent Condition. Very Pretty! 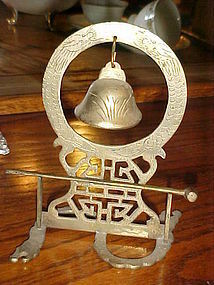 Awesome little antique gong style bell comes with original striking mallet. 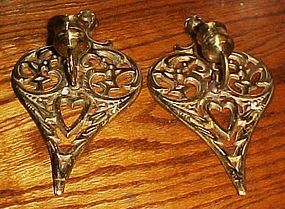 Carved dragons or serpents on the bell frame (both sides) and the base it stands on is a two headed dragon or serpent. 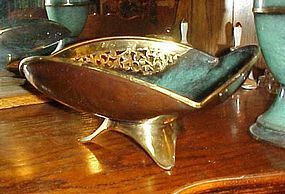 Measures 6 1/2" tall Original patina. Its up to you if you want it cleaned. 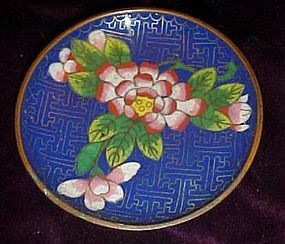 I believe the Chinese Symbol in the design is for good luck. Great condition with no pitting. It has a pretty ring when struck with the little mallet. 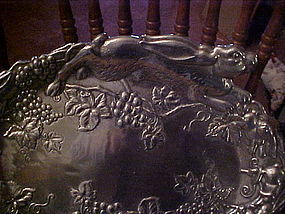 Arthur Court Oval Tray Platter Signed And Dated 1996 Lots Of Grapes, Leaves, Vines With Cute Bunnies/ Rabbits running around the edge. 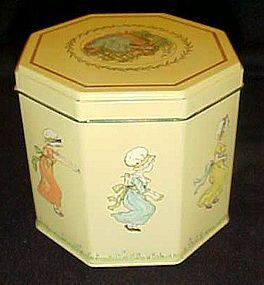 Made Of Solid Aluminum Measures About 15" X 11 1/2" over All Condition Is Great, and wouldn't this be awesome for Easter!! 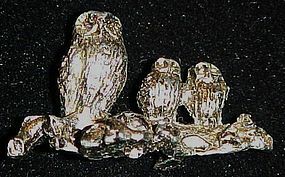 Adorable little family of owls perched on a limb. 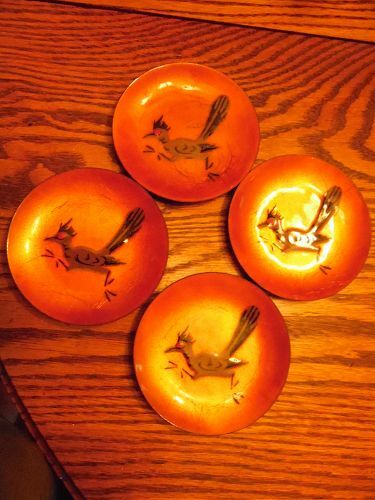 made by Spoontiques. Measures just 1" tall and is 1 3/4" long. Nice and detailed. This is a wonderful old cast iron wall mount match holder, match safe, with hinged door. Ornate with paint still good. Measures 6" tall and is complete. Stamped WILTON. 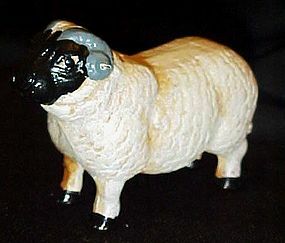 Cast iron sheep figurine is nicely painted and paint is 99% good. One small paint chip on the underside of his tail. Very heavy and measures 3" tall and is 4 1/2" long. Looks and feels like an old one, but it may be new, I'm just not sure. 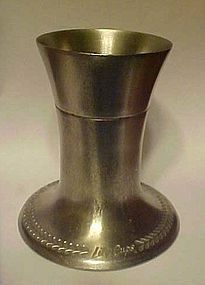 LILY CUPS MIXRITE HOLDERS MODEL NO. 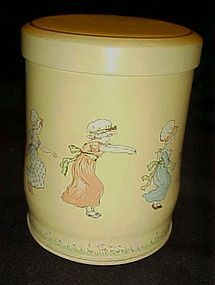 5MS LILY TULIP CUP CORP NEW YORK MADE IN USA, soda fountain item held disposeable paper cups. Rubber gaskets are in excellent condition. Metal in good condition also with no dings or rust. 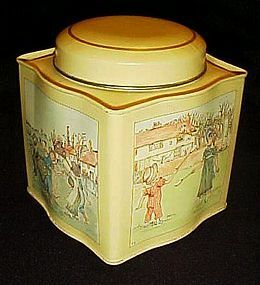 4" tall and 3.5" base diameter/ 2.5" rim diameter. I now have just 2 available and price is per holder. Vera old 3 3/4" diameter plate. 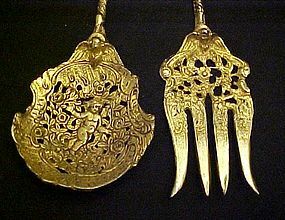 made of brass with cloissine or enamel decoration. Pretty pink floral on a dark blue background. Excellent condition. back is also decorated. 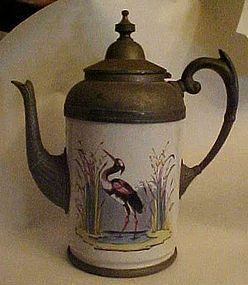 Marked CHINA. Not the new stuff! 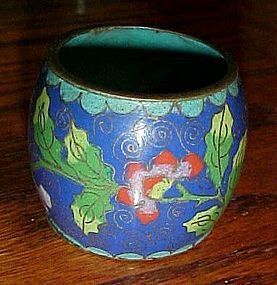 Cloisonne Pepper shaker and matching salt dip. 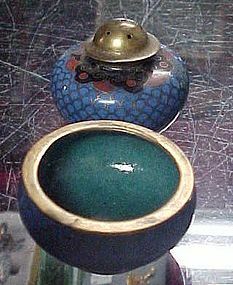 They are decorated with blue fish scale pattern and a green rim with colorful scroll decoration on the shaker. There is some patina on the brass that would clean up nicely. The pepper shaker is 1 5/8" tall, salt cellar is 7/8" tall x 1-3/4" wide. Shaker stacks neatly on top of the salt dip. They are in excellent condition with no chips, cracks, or missing enamel.